Your dinnerware can be so much more than a utilitarian object on which to serve food. It can set the tone of your meal, add interest to everyday suppers and parties alike, and help bring your entire spread together. It’s an extension of your decor and an expression of your personal aesthetic. All that from a dinner plate! Dinnerware varieties include several types of fine china, everyday china, and more casual alternatives. In this day and age, it may not be so easy to decide on whether you want to buy and use formal versus casual table settings; with such a vast array of designs and price points to please everyone’s tastes, distinguishing between the two has become less important. It is really all about personal preference; use what makes you happy and brightens up the meal and your space. We hope this look into the many options available will help you decide on dinnerware to fit your personal needs, taste and decor. Fine china can be more than just pretty plates gathering dust in a glass cabinet. 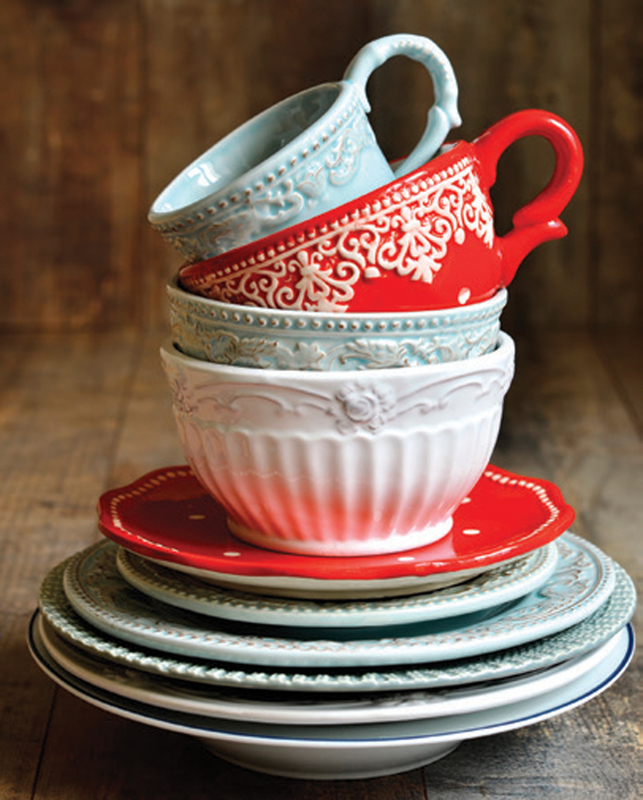 Maybe you’ve inherited a set from your grandmother; don’t be afraid to use it and show it off when entertaining. It could even make for an interesting talking point. If you don’t have any hand-me-downs coming your way anytime soon, consider investing in some yourself that you could pass down to your children. Fine china is the more expensive option of dinnerware because of the way it’s made. It gets fired at temperatures of up to 2,800 degrees Fahrenheit—much higher than the casual, everyday variety. This process allows for the china’s “ingredients” to merge together so compactly, making it very durable. Bone china and porcelain are the most common types you will see when scoping out fine china. Bone china is called such because it is comprised of bone ash, a white material produced by the calcination of bones, creating its creamy, ivory color. 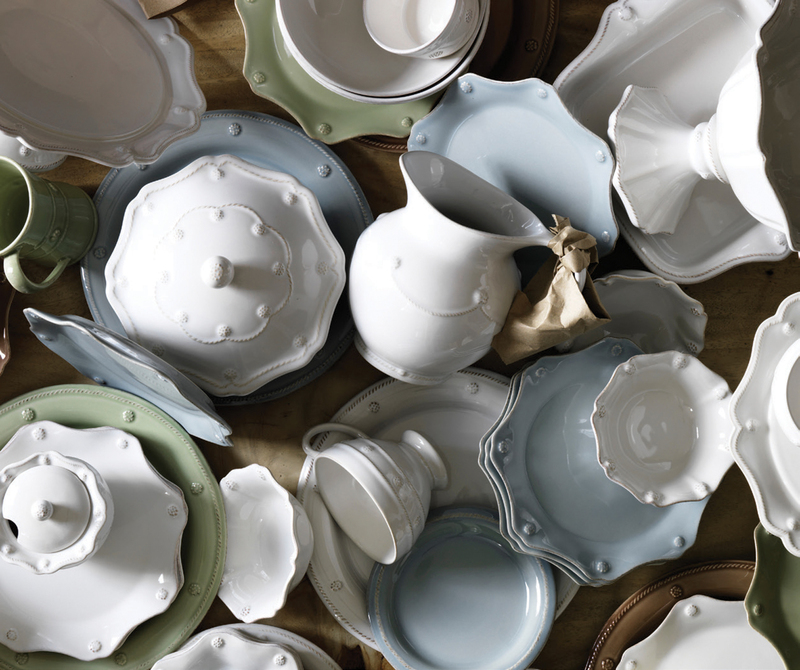 Porcelain contains a substance called kaolin, which helps to make the china that beautiful, vivid white. So, if fine china is in your price range, it can be an elegant addition to your home. You can also scope out local antique stores and yard sales for unique pieces of fine china that are possibly more budget-friendly. If a more casual, easy-to-care-for table setting is what you’re after, head toward everyday dinnerware. Stoneware, ironstone and earthenware are all types of popular casual dinnerware. These materials are easier to care for since they are usually dishwasher safe and can handle being transferred from your refrigerator, to the microwave, to your kids’ table settings, and back to the dishwasher so it’s ready for use the very next day. Everyday dinnerware is also fairly inexpensive compared to fine china, making it easier to change out and play around with if you get bored with a certain color or style. All-white plates are the way to go if you enjoy entertaining regularly and food presentation is of great importance to you, as sauces, drizzles and garnishes can get lost on a colored or patterned plate. White dinner plates are simple, incredibly versatile, and a great addition for those with minimalist tastes. Plus, you never have to worry about them going out of style. If all-white seems too boring, try switching up your tablecloth, placemats, and other table decor to add some color to your table. Invest in some colorful dessert plates and bowls to add some pizazz to the “after party” of your meals, or pair white bone china plates with vintage glasses from the flea market for fun mixing and matching. If you want to create more stand-alone interest with your dinnerware, colored and patterned plates may be what you are after. Vietri is a popular brand of upscale ceramic dinnerware handcrafted in Italy that comes in all different kinds of colors, shapes and patterns. Pfaltzgraff is another well-known brand associated with high quality ceramic products that come in a multitude of patterns and colors. Villeroy and Boch makes both fine china and more casual alternatives. Most home decor stores also carry a wide variety of colorful, casual dinnerware. If you’re having trouble deciding between white and colored, the solution may be to have a caterer’s set of basic, plain white plates that could be used for either a casual or more formal event, as well as a set of colored, fun stoneware that could also be used for a dinner party or everyday use. You could also opt for a style that is mostly white with a colored or patterned rim around the outside of the plate. Or choose a very light solid color with detailing to keep it simple, yet unique. First and foremost, before purchasing your new fine china or eclectic stoneware, make sure you consider your space and storage parameters. Hefty, oversized plates may look great on your table, but you won’t be such a fan if you can’t fit them in your cabinet or dishwasher. Plus, studies show that we tend to eat less if we use smaller plates. Once you’ve got the sizing nailed down, it’s time to figure out which pieces you need and how many you need. It’s a good idea to look for open stock so you can customize your sets to your own needs. Open stock options let you pick and choose exactly what you want and easily replace something if a piece gets broken. If you never drink tea or coffee, skip the cups and saucers. If you constantly grab bowls out of the pantry, stock up on those. Be sure to buy enough pieces to host a dinner party. Eight is a good start, but think about what you would need if you were to host a family holiday dinner—12 or more sets would be ideal. Scoop up some extras, too, such as soup bowls that can also be used for desserts and coordinating platters to serve anything from sliced bread to heaping salads. Chargers placed beneath dinner plates add a great hit of style and dimension. When it comes to dinnerware, it really is about personal preference and what best suits your home and lifestyle. 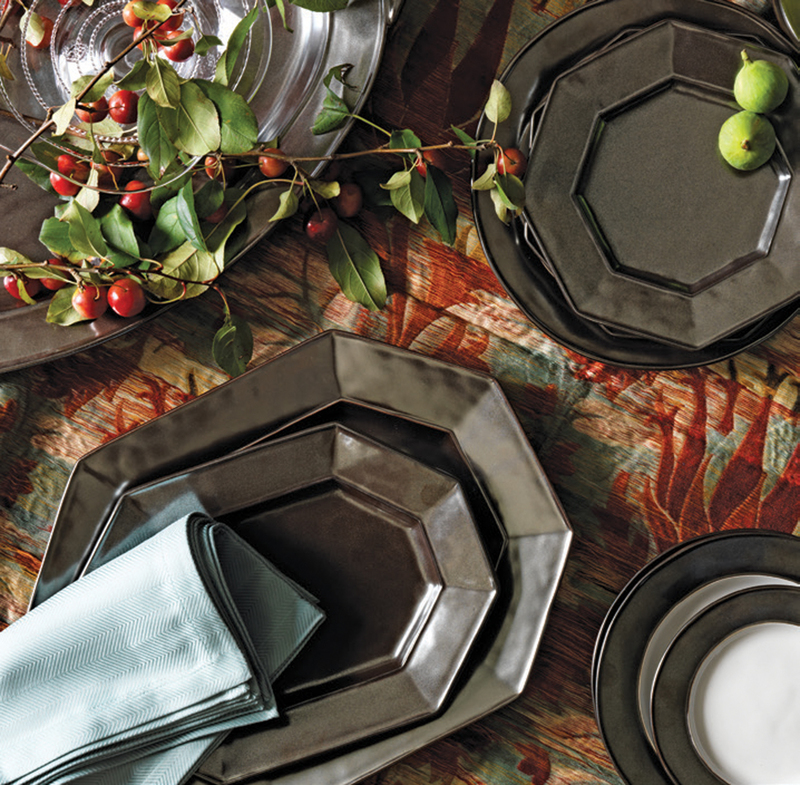 Have fun picking your perfect plates, mix it up, and don’t dwell too much on the rules of setting a table. Just be sure to consider size (plates should be able to be easily stored and handled) and durability (avoid materials that may chip easily if you have small children or use the dishwasher on a daily basis). Stock up now, making informed choices, and you’ll be ready to host any holiday meal that strikes your fancy.